VietNamNet Bridge – Deputy ministers would have to meet the highest level of foreign language standards set up by the Ministry of Education and Training (MOET) under a new decree currently being drafted. The Ministry of Interior Affairs is drafting the decree that stipulates requirements of civil servants at state agencies. Deputy ministers, besides professional knowledge, would have to have good foreign language skills. They would have to be fluent in at least one of the popular foreign languages such as English, Russian, French, German and Chinese. Of, they should speak Lao, Cambodian or an ethnic minority language. 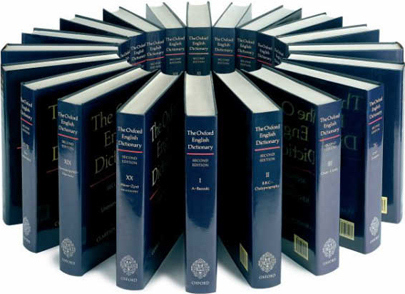 The foreign language standards, announced by MOET on January 24, comprise six levels. The highest level, the sixth, is equivalent to the C2 level of the Common European Framework for Reference (CEFR). The people meeting the sixth level of the standards can easily understand most spoken and written texts, can summarize spoken and written information, and re-arrange information and present information logically. They can also express their ideas promptly in a fluent and accurate way, and distinguish different meanings of words in complex situations. As such, deputy ministers would have to have foreign language skills higher than even foreign language teachers and professors. Under the regulation released by MOET in late February, primary and secondary school English teachers have to meet the fourth level, and high school teachers the fifth level. Meanwhile, the graduates of the Foreign Language School of the Hanoi National University, after finishing four-year training, are required to communicate well in English at the C1 level of CEFR, have professional knowledge at the C1 level of CEFR, and be able to use their knowledge in interpretation, translation and research. Even linguistics graduates of high-quality English training programs are only required to obtain the C1+, not the C2 level as required of deputy ministers. To be eligible for the title of professor, candidates must be “proficient in one foreign language that serves professional studies, and be able to communicate in English”. Secretary General of the State’s Professorship Council, former Deputy Minister of Education and Training, Tran Van Nhung, said he supports the draft decree. “Vietnamese will be at a disadvantage in the WTO (World Trade Organization) playing field if they cannot speak foreign languages,” Nhung said. He went on to say that Vietnamese deputy ministers need to improve their foreign language skills to satisfy requirements in the global integration period. “ASEAN’s deputy ministers can speak English very well, while many can communicate in Vietnamese and tell funny stories in Vietnamese,” he said. Deputy Prime Minister Vu Duc Dam said that while Vietnamese strive to become global citizens, deputy ministers will be required to meet higher standards – scholarly knowledge, fluent foreign language skills, and good information technology and communication skills. Apart from the officials of the Ministry of Foreign Affairs, there are two well-known Vietnamese politicians with good foreign language skills. One is Deputy Prime Minister Vu Duc Dam. He studied from 1982 to 1988 in Belgium. Later, when he worked at a government office, he sometimes worked as a waiter, which helped him practice foreign languages. The other official is Nguyen Thien Nhan, chair of the Vietnam Fatherland Front, who is fluent in English and German.